Since a while I'm considering to pick up my activities as a student and I'd like to get a degree in Computer Science. I mean after all this years as a professional software (and database) developer I have the personal urge to complete this part of my education. Having various certifications by Microsoft and being awarded as an Microsoft Most Valuable Professional (MVP) twice looks pretty awesome on a resume but having a "proper" degree would just complete my package. During the last couple of years I already got in touch with C-SAC (local business school with degree courses), the University of Mauritius and BCS, the Chartered Institute for IT to check the options to enroll as an experienced software developer. Quite frankly, it was kind of alienating to receive that feedback: Start from scratch! No seriously? Spending x amount of years to sit for courses that might be outdated and form part of your daily routine? Probably being in an awkward situation in which your professional expertise might exceed the lecturers knowledge? I don't know... but if that's path to walk... Well, then I might have to go for it. Some weeks ago I was contacted by the General Manager, Education Recruitment and Development of Medine Education Village, Yamal Matabudul, to have a chat on how the local IT scene, namely the Mauritius Software Craftsmanship Community (MSCC), could assist in their plans to promote their upcoming campus. Medine went into partnership with the French-based SUPINFO International University and Mauritius will be the 36th location world-wide for SUPINFO. Actually, the concept of SUPINFO is very likely to the common understanding of an apprenticeship in Germany. Not only does a student enroll into the programme but will also be placed into various internships as part of the curriculum. It's a big advantage in my opinion as the person stays in touch with the daily procedures and workflows in the real world of IT. Statements like "We just received a 'crash course' of information and learned new technology which is equivalent to 1.5 months of lectures at the university" wouldn't form part of the experience of such an education. 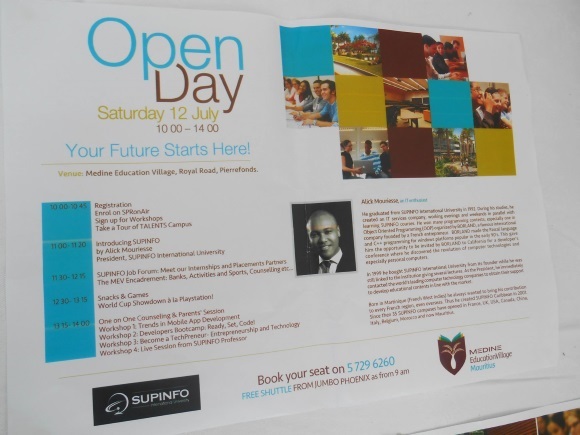 Last Saturday, Medine organised their Open Day and it was the official inauguration of the SUPINFO campus in Mauritius. It's now listed on their website, too - but be warned, the site is mainly in French language although the courses are all done in English. Not only was it a big opportunity to "hang out" on the campus of Medine but it was great to see the first professional partners for their internship programme, too. 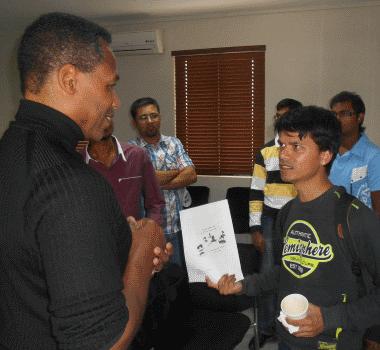 Oh, just for the records, IOS Indian Ocean Software Ltd. will also be among the future employers for SUPINFO students. More about that in an upcoming blog entry. Mr Alick Mouriesse, President of SUPINFO, arrived the previous day and he gave all attendees a great overview of the roots of SUPINFO, the general development of the educational syllabus and their high emphasis on their partnerships with local IT companies in order to assist their students to get future jobs but also feel the heartbeat of technology live. Something which is completely missing in classic institutions of tertiary education in Computer Science. And since I was on tour with my children, as usual during weekends, he also talked about the outlook of having a SUPINFO campus in Mauritius. Apart from the close connection to IT companies and providing internships to students, SUPINFO clearly works on an international level. 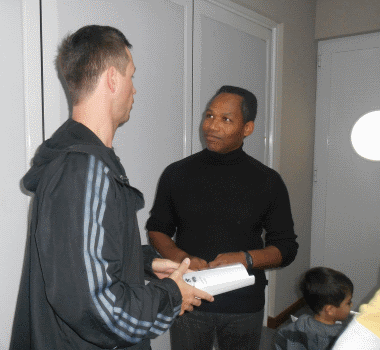 Meaning students of SUPINFO can move around the globe and can continue their studies seamlessly. For example, you might enroll for your first year in France, then continue to do 2nd and 3rd year in Canada or any other country with a SUPINFO campus to earn your bachelor degree, and then live and study in Mauritius for the next 2 years to achieve a Master degree. And of course, this concept works in any direction, giving Mauritian students a huge (!) opportunity to live, study and work abroad. And thanks to this, Medine already announced that there will be new facilities near Cascavelle to provide dormitories and other facilities to international students coming to our island. Awesome! Well, coming back to my original statement - I'd like to get a degree in Computer Science - SUPINFO has a process called Validation of Acquired Experience (VAE) which is tailor-made for employees in the field of IT, and allows you to enroll in their course programme. I already got in touch with their online support chat but was only redirected to some FAQs on their website, unfortunately. So, during the Open Day I seized the opportunity to have an one-on-one conversation with Alick Mouriesse, and he clearly encouraged me to gather my certifications and working experience. SUPINFO does an individual evaluation prior to their assignment regarding course level, and hopefully my chances of getting some modules ahead of studies are looking better than compared to the other institutes. Don't get me wrong, I don't want to go down the easy route but why should someone sit for "Database 101" or "Principles of OOP" when applying and preaching database normalisation and practicing Clean Code Developer are like flesh and blood? Given the feedback that there will be upcoming changes in prices the facilities at the Emtel data centre are getting more and more competitive and interesting for local companies, especially small and medium enterprises. MSCC meeting of June: You're working in IT and not using any kind of version control system? Sorry, then you're doing something wrong!